Throughout this week Inhealthcare is to be guest editor of Digital Health Age. It will include articles about Inhealthcare’s mission to save the NHS, why digital health makes sense for both patients and the public purse and an interview with a senior figure from the healthcare establishment. The NHS doesn’t need to break the bank. Digital health that can work with existing clinical systems is readily available. And if it means less work for our busy staff, the question is not how, but when? Digital health doesn’t mean the latest, most expensive gadget or smartphone. Giving patients a choice of communication from a landline to an app allows everyone to benefit, regardless of age, wealth or technical savviness. It can be as easy as making a cup of tea. It is a misconception that patients actually want to attend their GP surgery or hospital regularly. Taking time from work, paying for parking and queueing for a simple test that they could do themselves is a burden. Digital health gives patients the freedom to self-monitor from home, on-the-go or from holidays abroad. Digital health offers the NHS a lifeline, increasing capacity without compromising the quality of care. County Durham and Darlington NHS Foundation Trust’s INR self-testing service has saved 22,000 appointments since 2013. Applying this approach to just 10 pathways across the NHS could save billions of pounds per year. The whole world is embracing new technology. We are more mobile than ever. It is transforming the way that we shop, the way that we bank and the way that we travel. We are more likely to Google symptoms than discuss them with family and friends. In healthcare data is power. Enhanced monitoring means better informed clinical decisions. INR self-testing has increased time in therapeutic range by 20 per cent for 70 per cent of patients in an evaluation. Applied nationally, this would save around 1,500 strokes per year. It’s important that we don’t just do digital for the sake of it. Digital health services should be clinically led and developed to make real differences for healthcare professionals and patients. 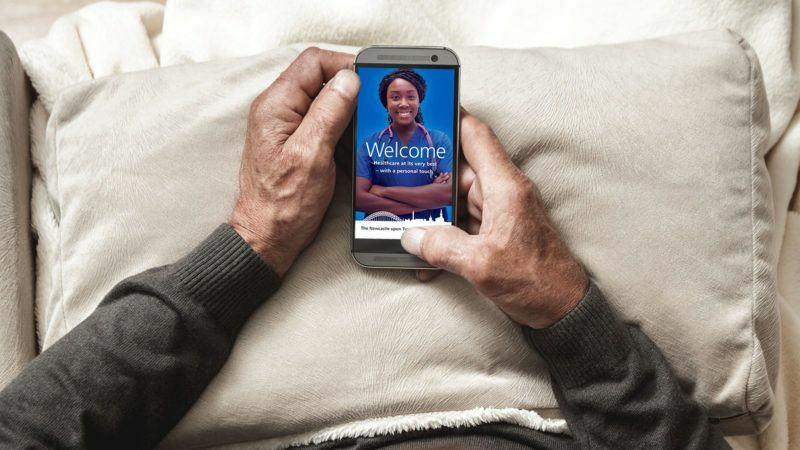 Doctors want to be connected to nurses, who want to be connected to care home staff, who want to be connected to patients. Digital health enables all parties to directly contribute to the patient record. This is a major goal of the NHS Five Year Forward View. Self-monitoring puts patients at the heart of their own care. Patients can become activated and more engaged with the management of their health. Enhancing patient knowledge promotes healthier lifestyles and eases pressure on the NHS. Patients can be reassured that their health is being remotely monitored by healthcare professionals between appointments. They are only a phone call away. Alerts can be generated to ensure that care teams make contact with patients if there is any cause for concern. There are many stand-alone apps on the app store that aren’t safe or secure. Digital health services should gain the key information governance accreditations to keep patient data confidential, like ours do.